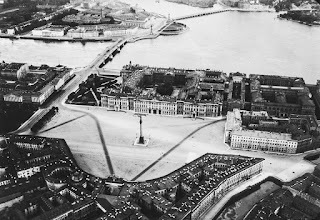 The clarity of the aerial view below of the Winter Palace c1924, looking north from Palace Square, highlights fascinating details. The atriums above the two porticos at HM Own and Commandant Entrances have been dismantled. On the left the fence to the private garden had been removed but the gates are still standing. The ventilation tower over the northwestern section that had been installed for Nicholas and Alexandra apartments remains, soon be taken down. 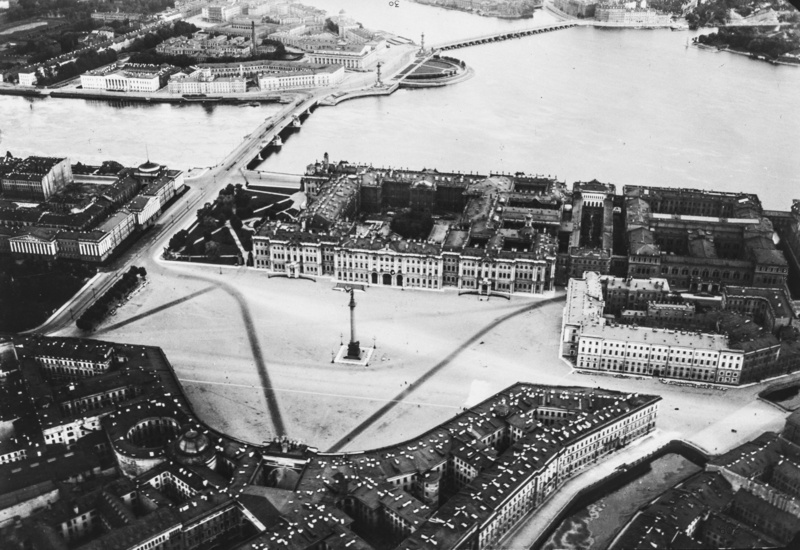 The tram tracks in front of the Admiralty are clearly visible. 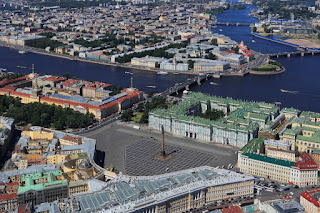 Across the Neva is Vasilyevsky Island with the former Stock Exchange and Rostral Columns. The long building on the upper left is the Twelve Colleges where Dmitry Mendeleev, the creator of the periodic table of elements, had an apartment.